Bayern Munich vs Schalke predictions for this weekend’s German Bundesliga. Can Bayern get themselves back on track when they face Schalke at the Allianz Arena on Saturday? Read on for our free betting tips and match preview. Bayern Munich’s seven-match winning streak came to an end in a 3-1 defeat away to Bayer Leverkusen last weekend, a result that leaves them with seven points to make up on league leaders Dortmund. Bayern did bounce back during the week in the DFB Pokal against Hertha Berlin, but it took until extra time for a goal from Kingsley Coman to seal the 3-2 win. Coach Kovac could, therefore, look to make a few changes to give a few players a breather. Former-Schalke man Leon Goretzka shouldn’t be one of them though, having scored a league-high four goals in 2019. Schalke made light work of their cup match against Fortuna Dusseldorf on Wednesday. 18-year-old Ahmed Kutucu scored his second goal for the club in a comfortable 4-1 win, and he may make his full Bundesliga debut this weekend with a number of injuries limiting coach Tedesco’s options. Schalke’s less than stellar league form sees last year’s runners up way off European qualification in the table, and a looming Champions League clash with Manchester City just 11 days after this tough fixture means that Schalke’s focus could be elsewhere. While this sounds somewhat ominous for the visitors, they won’t be without their chances. To their benefit, goalkeeper Manuel Neuer could miss out on this opportunity to face his former employer due to a hand injury. Keeper Sven Ulreich has kept a clean sheet in neither of the two games in his absence and when looking back further over Bayern’s home records they’ve actually only kept their opponents out in two home matches all season. Schalke’s scoring record, meanwhile, has been on the mend. Not only have they scored at least one goal in all but one of their last 13 competitive outings, but they’ve also found the back of the net in tougher fixtures like the 2-1 home defeat to Dortmund. However, Schalke’s defence has been the weak link, and with Bayern very much in goalscoring form, it’s tough to see them getting a result at the Allianz Arena – in fact, Bayern are unbeaten in 16 Bundesliga matches against Schalke (W13 D3). Even with Schalke’s injury crisis, there has to be value in the ‘both teams to score market’ for this game though – BTTS has landed in 67% of Bayern’s home and 60% of Schalke’s away days this term after all – but Bayern’s resurgent form, particularly at home, make them the bet for the result on Saturday. Our prediction: 3-1 Bayern Munich. Bayern were beaten 3-1 by Leverkusen last time out, a result which ended their seven-game winning streak. They have lost four Bundesliga matches in 2018/19 – matching their tally from the whole of 2017/18. 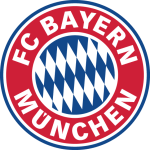 Bayern are seven points behind league-leaders Dortmund – only two sides have overturned such deficits after 20 Bundesliga games: Stuttgart in 2006/07 and Wolfsburg in 2008/09. Bayern squandered their fifth lead of the season on matchday 20 (3-1 vs. Leverkusen; D3, L2) – they haven’t thrown away more within a single campaign since 2009/10 (7). Bayern’s Leon Goretzka has scored in three Bundesliga games on the spin – a personal best (same as autumn 2017). He has netted six top-flight goals this term – his best-ever season in front of goal. Schalke have won just two of their opening 10 Bundesliga away games of the season (D4, L4) – half as many as they managed at this point last season (4). Schalke have picked up 22 points this season – their worst tally after 20 Bundesliga games since 1998/99 (22 under Huub Stevens; finished 10th). Schalke’s Mark Uth has scored three goals in four Bundesliga games vs. Bayern. He netted more goals against them than any other player in 2017/18 (3). Schalke’s new signing Rabbi Matondo made his Bundesliga debut as a 75th-minute sub vs. Gladbach on matchday 20; he completed just one touch of the ball.